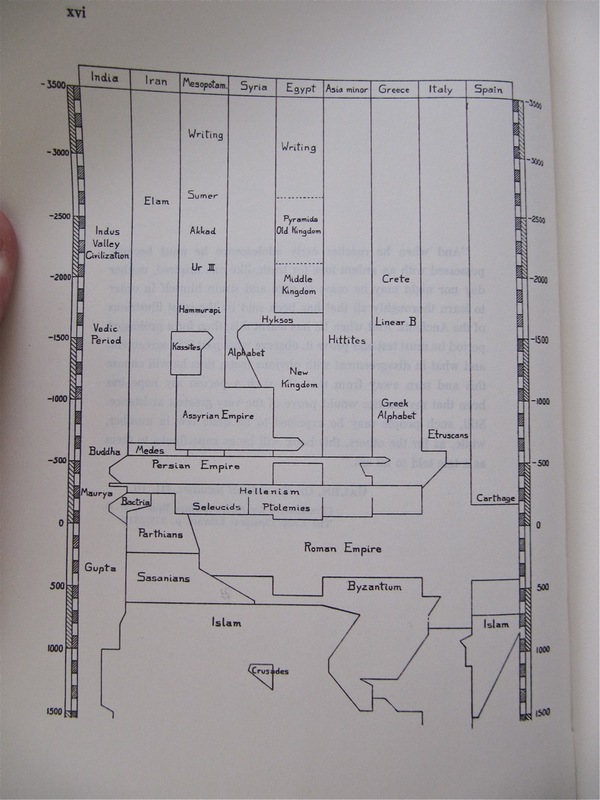 O. Neugebauer has a great geometric map of the Ancient Mediterranean world in The Exact Sciences in Antiquity (Brown University Press, 1957). 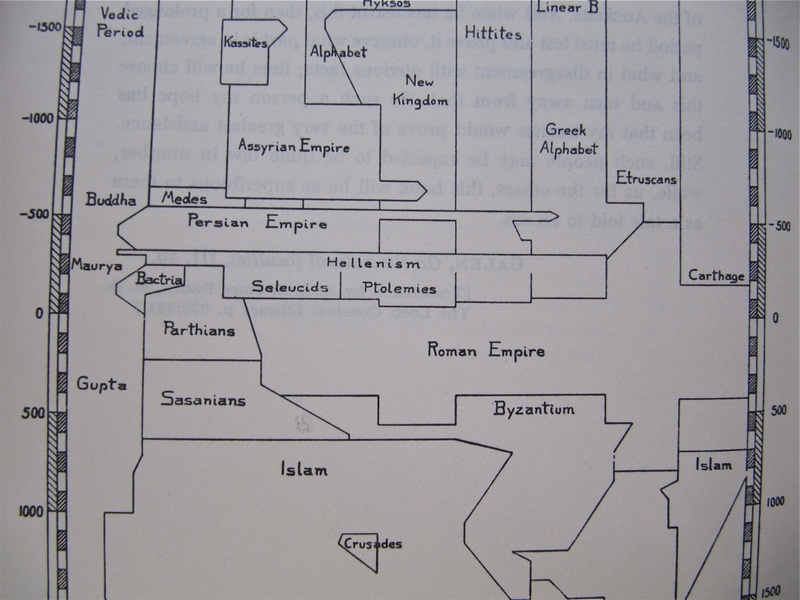 Neugebauer’s map helps orient someone in 2012 with where the Hellenistic world fit into Antiquity. Scholars and field archaeologists today are still piecing together bits of reality from those ancient worlds. It seemed worthwhile to upload and post Neugebauer’s geometric-ography (yeah, I just typed that) to help orient myself and anyone else with the Hellenistic world. In lay-terms, Neugebauer was the type of thinker that one would call a “Big Dog.” With the illustrations below, the contemporary nation-states are at the top, and the boundaries of the Ancient worlds (and how they spilled in and out of today’s nation-states) are beneath that. Overview of the sciences in the Ancient world. From Neugebauer, “The Exact Sciences in Antiquity” (Brown University Press, 1957), xvi. Close up of Hellenism within the Ancient world. This entry was posted on Tuesday, June 12th, 2012 at 2:56 pm	and posted in Uncategorized. You can follow any responses to this entry through the RSS 2.0 feed.